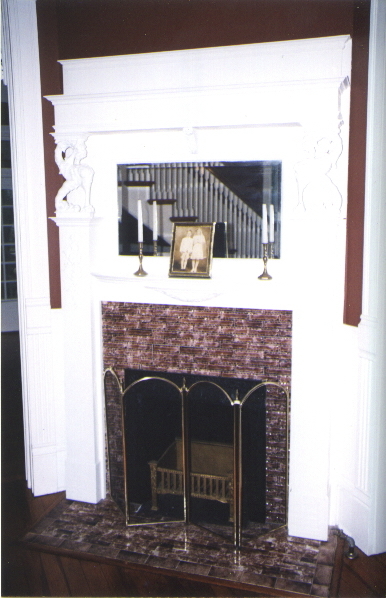 The Pin Oak Bed & Breakfast is situated in what is now part of a National Historic District. 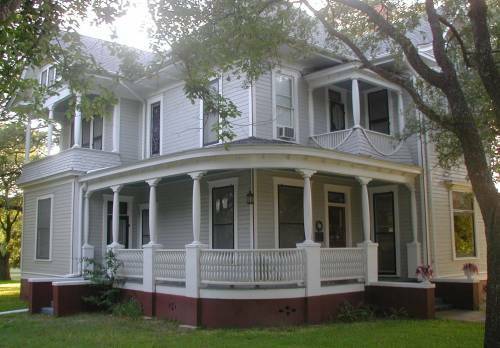 This grand two story home, which has a Texas historical marker, was built by Herman and Katy Stricker in 1900. Katy Stricker was the daughter of Confederate General William Harrison Hamman. After the Civil War, General Hamman turned his attention to land and railroad speculation with limited success. He threw his hat into the Texas governor's race in 1878 and 1880 under the Greenback Party banner but lost both times. Hamman then became one of the principal backers of the Cherokee Land and Iron Co. just outside Rusk. Hamman and others pinned their hopes on mining and processing of iron ore. They named their new town New Birmingham. By the late 1880's New Birmingham had two railroads, graded streets, and a 100 room hotel which made it one of biggest in the state. It had seemed General Hamman had tasted success but a local merchant brought charges against him for slander against his wife. As Hamman arrived by train, the merchant stepped out of his store and shot Hamman to death on July 14, 1890. General Hamman was buried in Calvert. This gracious home rests on a city block gently shaded by thirty-one 100 year-old post oak trees planted from acorns gathered from around A&M's Old Main in 1913. Inside, 11 ft. ceilings, spacious rooms with original detailed moldings, stained glass windows, five fireplaces, and two second floor balconies await your arrival. Begin your visit in the foyer absorbing the homes open, airy spaces and investigate the beautiful "suspended" staircase. Use the comfortable parlor for quiet conversations or the ornate library for reading or music. Relax in wicker rocking chairs on the cozy wrap-around front porch and gaze at a one-of-a-kind gazebo across the street in Virginia Field Park. 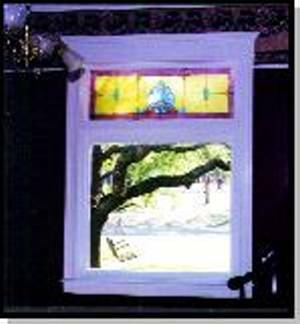 The Katy Hamman-Stricker Women's Heritage Center located two blocks from the Pin Oak Bed & Breakfast was built in 1909 on land donated to the American Woman's League (AWL) by Katy's mother Ella Hamman. 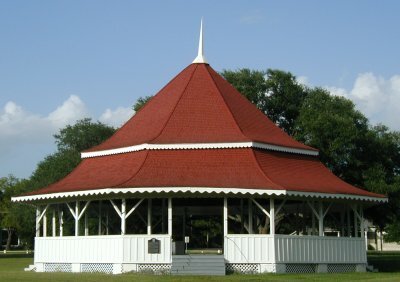 The building was the first AWL chapter house in Texas. It was designed in a new architectural style evolving from the Chicago "Prairie School" architects led by Frank Lloyd Wright. The Chapter House was named the Katy Hamman-Stricker Library in 1939 by the Calvert Woman's Club and in 2010 evolved into the Katy Hamman-Stricker Women's Heritage Center. Reservations are held with a credit card, check, money order or cash. For a full refund, cancellations must be received one week prior to the date of arrival. If we are able to rent out the room, your refund will be returned. Since the best things in life require a little planning, please call for reservations, you won't be disappointed. Please call us on the old telephone if you send an email inquiry and don't receive a response within 24 hours.